A clear and glowing complexion is one of the most beautiful signs of good health. When someone is healthy, their vitality reflects on their face. Yet, many people often have various problems with their skin that can marr an otherwise smooth complexion. Some of these skin complaints include acne, premature lines and wrinkles, scars, shingles, eczema and even psoriasis. While many expensive products can manage the symptoms on a surface level, i.e. cleaning the pores of bacteria or smoothing lines – the real problem is often more than skin deep. Such skin problems are often caused by inflammation deep within the body – and this is triggered by a poor diet, lack of nutrients and unhealthy lifestyle choices. The SerraEnzyme is a natural proteolytic enzyme that safely dissolves inflammation within the body. Once the inflammation is removed the skin naturally begins healing itself – miraculously clearing up any painful or unsightly symptoms. How does Inflammation Affect The Skin? The body reacts to inflammation in various ways and this can range from rashes, redness, swelling and itching, to more chronic conditions such as dermatitis (eczema), rosacea, seborrheic dermatitis, and psoriasis. These are all indications that the body is fighting some kind of bacteria/infection within the body. Inflammatory skin diseases are common and they are often misunderstood. When skin is exposed to some kind of “triggering” stimulus such as UV radiation or an irritant or allergen, the cells in the skin produce inflammatory “hormones” called cytokines and chemokines. The hormones act as inflammatory messengers, bind to specific receptors on target cells and stimulate the production of additional inflammatory signalling “hormones”. This can cause vasodilation, while others activate nerve cells. Other cytokines can cause immune cells to leave the blood and migrate into the skin, producing more inflammatory hormones. This includes enzymes, free radicals and chemicals that damage the skin. The result is that the initial trigger has ampligied a larger inflammatory response. The initial response is designed to help the skin fight infection from invading bacteria, but also causes considerable damage to skin. Staying hydrated should be the number one priority when it comes to good skin health. By drinking plenty of fresh, filtered water can restore your skin’s elasticity, giving it a plumped up look that’s one of the obvious indicators of youth. For natural anti-aging, taking plenty of Vitamin C is a good choice. 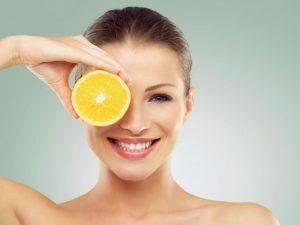 Vitamin C is a powerful antioxidant that can help to protect the skin and promote new collagen production. Various studies support that Liposomal Vitamin C can make skin 33% firmer – often in just 4 weeks, due to its superior absorption rate. Taking Curcumin is another good choice. This powerful antioxidant contains anti-inflammatory and antioxidant properties that reduce free radical damage to skin cells. 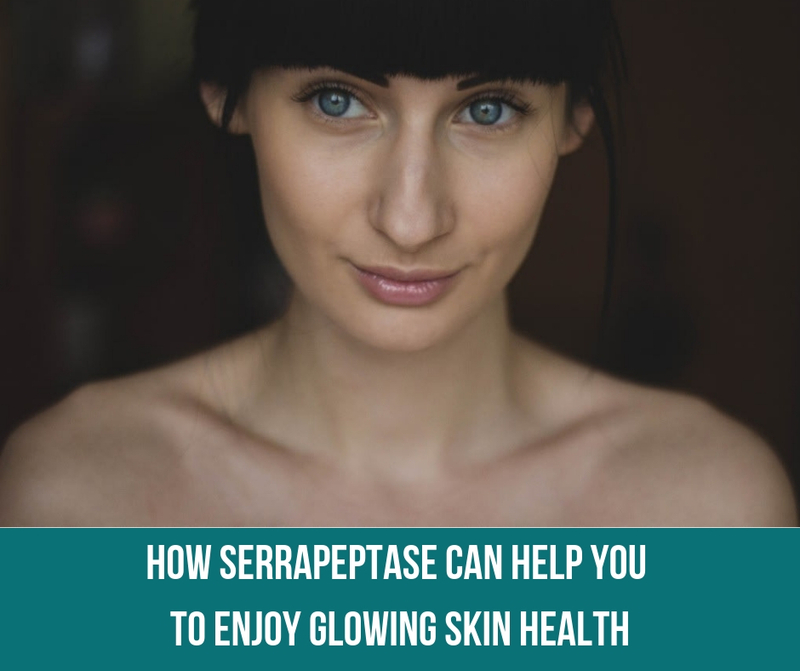 When combined with Serrapeptase, it can have an amazing effect on skin health. By cleaning out the diet and following a healthy lifestyle that includes a variety of nutrients, vitamins and minerals it’s possible to reset the state of your skin. Serrapeptase can play an important role in this process – by working in the body to dissolve inflammation that may have accumulated as a result of poor lifestyle choices. Eating too much sugar for example is known to accelerate skin aging and promote inflammation by causing insulin levels to spike. The result is inflammation producing enzymes that break down collagen in the skin, through a process known as glycation. Along with increasing the effects of aging, glycation can make skin conditions such as acne and rosacea worse. For this reason, avoiding refined sugars and starchy carbohydrates such as bread, grains, pasta and even potatoes is highly recommended as all of these foods can play havoc with skin. Taking good care of your skin health means following the above advice consistently over a long-term basis for best results. 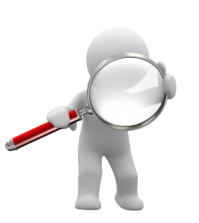 For more specific skin problems, consider the Skin Health problems section on this site. 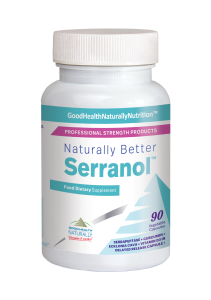 Serranol™ -The secret behind Serranol™ is the distinct combination of four key ingredients: Curcumin X4000TM; Ecklonia Cava Extract; Serrapeptase; and Vitamin D3 in one vegetarian capsule. These core nutrients provide a super-supplement that studies show targets dozens of health and aging-related issues. Available from Good Health Naturally. 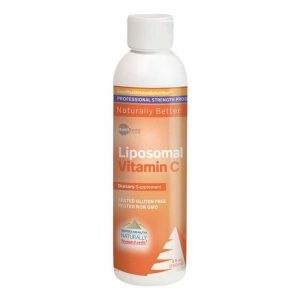 Liposomal Vitamin C – Contains 1000mg high quality liposomal Vitamin C, plus 400mg PC per serving. May help to promote healing, maintain cartilage and connective tissues and support good skin health. Available from Good Health Naturally. Una tez clara y brillante es uno de los signos más hermosos de la buena salud. Cuando una persona está sana, su vitalidad se refleja en su rostro. Sin embargo, muchas personas a menudo tienen varios problemas con su piel. Algunas de estas quejas incluyen acné, líneas y arrugas prematuras, cicatrices, culebrilla, eccema e incluso psoriasis.